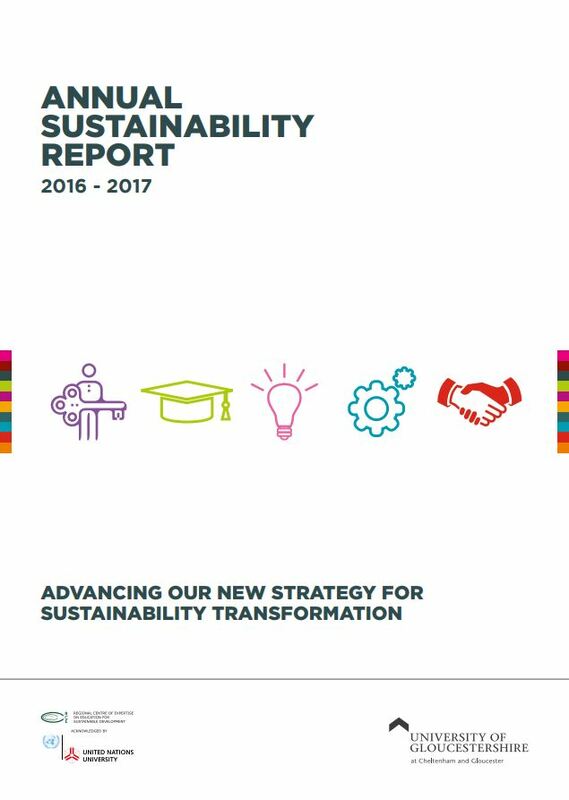 The University’s new look Annual Sustainability Report (ASR) for 2016-2017 has been released today following approval by the University Executive Committee. Using infographics and stories, it shows the performance data and key achievements from the past academic year, that led to our recent rise to 2nd place in the People & Planet league. The ASR is one of our public reporting commitments to our stakeholders, showing how the University is working to reduce its negative impacts and make positive contributions to sustainability through learning, research, and public engagement. It reports against the 5 goals of the Sustainability Strategy 2017-22 and signposts links to UN Sustainable Development Goals (SDGs), as UoG is signatory to the SDG Accord. The performance data shown in the ASR is reviewed annually by our Sustainability Committee and forms part of our environmental management system, which is accredited against ISO 14001: 2015.